Luxury lives here! 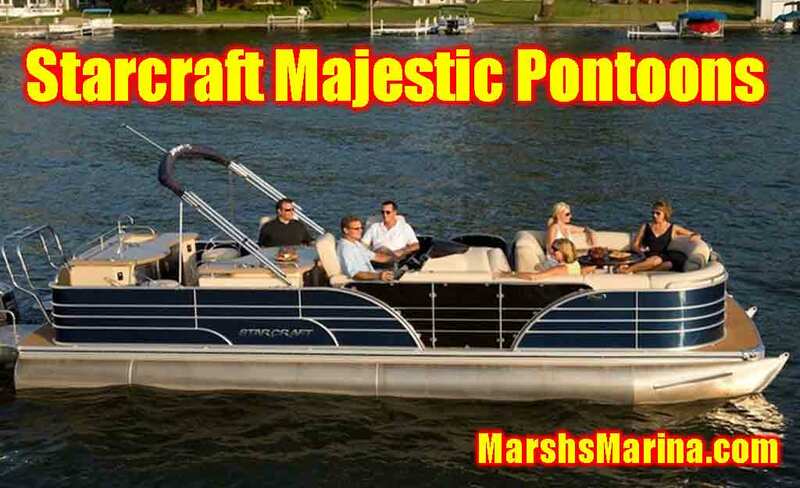 The Starcraft Majestic Pontoon is the ultimate in Pontoon Boat Luxury. Our top-of-the-line flagship pontoon boat series is all about pampering you and your family with plush furniture and carpeting, synthetic teak bow and stern flooring, four different layouts and an extended swim platform. The Majestic Pontoons or TriToons plush furniture and carpeting, synthetic teak rear deck flooring, four different layouts and an extended swim platform. With this pontoon boat, you'll be cruising in such royal luxury you'll never want to go back to the dock.